Chocolate biscuit base, gooey caramel filling, topped with solid chocolate. Share them around, or keep them for your own stash. 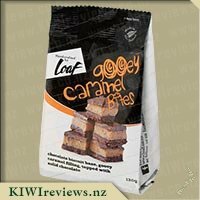 I decided to try these as I&apos;m a huge caramel slice fan. Usually, I find the supermarket ones too dry, but these are fantastic! There is a decent layer of gooey caramel, and it&apos;s the real deal, not just brown coloured icing sugar. The chocolate topping is soft and actually tastes like chocolate, and the base has lots of flavour too (contains coconut). Countdown supermarkets have now added them to Lockdowns so they are 2 packs for $5 which I think is a really good price. So far I have used them as an after-dinner treat and as a road trip snack (they get very soft if you forget they&apos;re in the glovebox!). I would love to see a bigger pack as it&apos;s one of the best caramel slices I have had (and there&apos;s been heaps! ), but I definitely recommend these bites to anyone that wants a treat! Caramel is my downfall. Slice, Chocolate, Ice cream, Biscuits, you name it I&apos;ve tried it. As soon as I saw these up for review I knew I had to try them!! As soon as I opened my parcel the Loaf Mini Bites had forced their way into my mouth. The base had a coconut taste to it, the caramel was the perfect texture and not to sweet and the chocolate top tied it all together perfectly. These tasted home made and were beautiful! They say gooey but I did not find the texture all that gooey. These are the perfect size as a treat or in the kids school lunch boxes. Although this packet did not make it to the kids at all! I would rather buy these compared to the bakery caramel slices at the local supermarket which are quite dry or the caramel is too sweet so much ends up wasted. I think these would be perfect for keeping as treats for guests, shared lunches and for those weekly visits my family makes to see Nana at the rest home. There were roughly six bites in the bag which I found just right, They are sweet so you wouldn&apos;t want to eat the entire bag in a sitting unless like me you struggle with a sweet tooth! Yum yum loaf mini bites I was really excited about getting to try these. We have a very sweet tooth household and I was looking forward to finding a nice bite sized treat. When I opened the packet I was overwhelmed by a very sweet smell that made me cringe and think "gosh how sweet are these going to be" however, I was pleasantly surprised. I took a bite and the first thing I noticed was the base. Normally I am used to a smooth and soft base where as this was kind of chunky almost rough and gritty which I didn&apos;t find nice on my palette. The caramel was nice and smooth and surprisingly not too sweet along with the chocolate icing it was very yummy. I was surprised at how many small bites were in the pack. The size of the pack made me think there would be more but when I went online and looked at the price it made me realise it wouldn&apos;t be that many due to the lower price. In my opinion I think there were enough pieces to make this a great pack to take away on a day trip, or to sneak into your work draw for a mid morning treat. My partner loves anything caramel so I though perfect opportunity to test these out on him as I have been suffering horrible morning sickness. His first reaction upon opening the bag was a bit disappointing as only half full however when you compared the price to the slice from the bakery it seemed similar value.Before I let him have a taste we looked at the back of the packet to make sure we where getting what it said we where I looked at the ratio of the base to topping etc after much nagging I finally let him have a taste the result was there was a lot of base and topping so the caramel flavour was a tad lacking in our batch but he said they pretty much taste homemade rather than a dry slice like you pick up at the bakery. He managed to polish off the bag in about 5 minutes he said they where very rich with a nice coconut and chocolate taste and after 1-2 pieces you could satisfy that sweet craving without feeling sick and at a price of $3.00 he would consider it again if he felt the urge for some baking that tastes homemade or something sweet.The price of $3.00 is not bad for the value and quality ingredients used however I had a look at my local supermarket and they are around the $5 mark so perhaps I would only leave these for special occasions seeing how they were demolished so fast. I love all things caramel so I was super excited to review this product. Upon opening the bag I was initially a little underwhelmed. They looked nice enough but the bag was half empty with only 6 pieces in it. However, I definitely think this is reflected in the price when comparing similar products. My son and I couldn&apos;t wait and dove straight in as soon as we got home from school so they were quite soft from sitting in the mailbox. I then put the rest in the fridge for later which gave them more of a fudge like consistency. I liked them this way but my son preferred them soft and extra gooey. I love the bite size pieces - perfect for sharing with friends and managing portion control - and their rustic handmade appearance really appeals to me. Flavour wise they were quite enjoyable - not overpoweringly sweet like a lot of caramel slices that I&apos;ve eaten in the past and very moreish. I did find the base to be a bit gritty which was a little off putting but the combination of smooth luscious caramel and the solid chocolate topping is to die for. They were the perfect accompaniment to my evening earl grey tea with just the right amount of sweetness to complement it nicely. 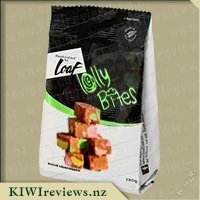 Loaf mini bites are a little bit deceiving, you kind of expect a loaf or a cake but you get a cross between a slice and a lolly. I love caramel slices, well at least I think I do, but whenever I purchase one, it often goes uneaten because the caramel is so very very strong, and I can&apos;t eat it because I do not like it. 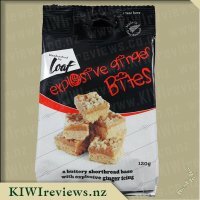 Loaf caramel bites, are amazing! The caramel is not over-bearing, but rather a lovely subtle hint of caramel, that blends perfectly with the biscuit and the chocolate. I was so pleased to finally find a &apos;kind of&apos; caramel slice that I could enjoy. It has a chocolate biscuit type base, that is kind of a mix of a biscuit and a slice, topped with the caramel, (it says goey, but I did not really think it was goey), and then topped with chocolate! How perfect is that for a combination? And it all blends in so well together, and is just a bite sized perfect little morsel. Each piece is not quite enough to satisfy you though, and I did find myself finishing off 3 pieces without realising just how much I had consumed in seconds. They are really great sizes for a treat for the kids without mum or dad feeling guilty about giving them sugar or chocolate or whatever. 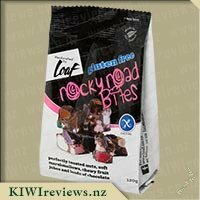 I have only tried these and the rocky road bites, but really look forward to trying more. So very yummy. Being easter you just need to be eating chocolate and having these sitting in the pantry staring at me everytime I opened the door was torture so after lunch today and having too children asking to eat more chocolate I compromised and let them have a piece of this. First of all I have to say the packet looks so inviting and definitely eye catching. The image of the chocolate biscuit with a caramel filling looks so yummy I am surprised I have held off this long. I think I was more excited than the girls. Both girls bit eagerly into them and said how yummy and gooey it was where as I felt an over whelming taste of sugar and was not as impressed as I thought I would be. I put the rest of the packet into the fridge and left them there to harden a bit. Having another bite sometime later I am still not taken with them. They remind me of my cousins fudge and found it too be extremely rich. 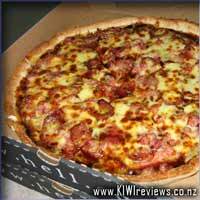 I was also surprised that there were only six slices in the packet I was assuming there would be heaps. If I had known that I would of held off until my husband was home as I know he likes his caramel. It is nice but it is not something I could eat in one sitting, instead, I think its have a bite here and leave for a hour or so before attempting the next one. A little bite does go a long way for that chocolate sugar fix that I desired. Where as it is nice its just a little too rich for my liking and so if I was to have in the future it would be for a special event. I think the price is pretty spot on and both girls and still asking for more so it is a winner not just the one I was expecting. I adore caramel and love a decent caramel slice so when I discovered that I had gained a pack of these to review I was most excited. I knew the price before I opened the bag up and already felt a bit apprehensive about serving size and therefore value of the product as a whole. Mine seemed to have been in the heat a bit, every inch of it was gooey and the pieces stuck together, but they separated easily enough and invited one to lick ones fingers. 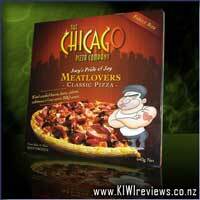 The packaging caught everyone&apos;s attention and it was easy for the kids to work out what was in the packet. I am not a dark chocolate fan and that would be my big gripe with this (as with all other products which to the same), it doesn&apos;t say this on the front, it says solid chocolate but not dark. This means I happily popped it in my mouth and quickly regretted it. The base is yummy, I love the coconut in it, the caramel is just rglight, though I would have loved more, but the chocolate made me feel a bit off, as dark chocolate does. The kids had one each and hubby had the last two, and these are so sweet that there was no need to give them anything else sweet for dessert. 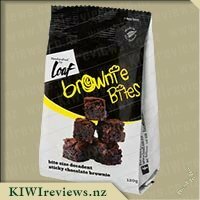 The family enjoyed it but it just wasn&apos;t my cup of tea, possibly if on special I would buy a pack for the family but I would pelrefer this made with milk chocolate. Caramel bites~ as a sweet tooth from way back I have a love for caramel, as does my fiancee. As with the Rocky Road bites I was very excited when these products arrived for review! 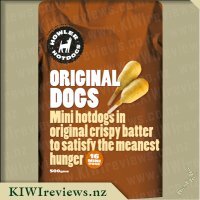 Value for money is average - great and these bites are currently on special at $2.49 from New World, which buys you a 120g bag and 6 &apos;bite&apos; sized pieces. The caramel bites themselves have a great melody of flavour - mainly consisting of chocolate, coconut and caramel which I find to be quite rich - very rich in fact, to consume two &apos;bites&apos; in a short space of time I found to be almost overpowering. I learned a lesson with these bites - share them around or stash them for later ;) whilst being rich in flavour isn&apos;t everyone&apos;s favourite I do note that in some ways it&apos;s a blessing, as one piece can be enough. Personal choice for this product, I&apos;m not as fond of this one as I am the Rocky Road, I find that the two key flavours in this slice (chocolate and caramel) are rivalled by the coconut used in the base, which I feel deters away from the caramel centre (my favourite part of the slice). I can&apos;t see me buying these very often, but they are perfect portion sizes and another great product to stash in the drawer at the office, or in the car for road trips. If you&apos;re a fan of a rich, good quality slice and you don&apos;t mind coconut - I highly recommend trying a pack of Gooey Caramel Bites! We are big fans of caramel slice and it is something my 14 year old makes when she bakes as she just loves caramel and chocolate. I absolutely loved these gooey caramel bites and couldn&apos;t get enough of them I think there were about 6 bites in the packet so after sharing around my 3 other family members there were only 2 bites left which I shared with my 14 year old. The bites are the perfect size although small as they are quite sweet so you don&apos;t want too big a piece. The biscuit base to me was perfect chocolatey with a hint of coconut. Like with the rocky road bites the chocolate on these bites stayed soft even when refrigerated so it just melted in the mouth when you bit into it. With the gooey caramel in between the biscuit and chocolate it made these a rather indulgent treat. We all decided that we would buy the bites again except we would buy two packets next time so we can have a couple of pieces rather than the 1. At $3 a bag it is a cheap enough family treat even when buying two bags and totally worth the money as they are pretty indulgent. This would be relatively equal to what we would normally spend when we have a family treat dessert. My daughter would quite like to have these in her lunch box but I would say definitely as a treat as they have a bit of sugar so will definitely be an occasional treat. I also thought they would be a good thing to take when in a rush and needing to take a plate as they appear and taste just like home made baking!! Okay, this was one of the best caramel dessert items I&apos;ve tried, and the fact that they&apos;re bite sized can do nothing against them. 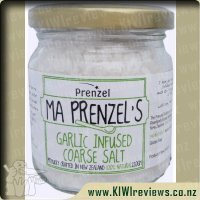 These bites were very familiar to me, as I have had my fair share of slices in the past, but having one that is literally cooked sugar was a very pleasant experience for me. The texture of the bites was so nice that I&apos;m actually drooling now just remembering what it was like, it was soft, gooey, and very appealing. The bites were also quite visually appealing too, they were quite enticing with the way they were made. I wouldn&apos;t say that they were made sloppily at all, in fact I was quite content with the quality of them. The chocolate was quite tasty too, it tasted like milk chocolate, which is my favourite by the way, but I must say that one annoying thing I have discovered with chocolate finger-food is that it always ends up melting in my fingers and makes a mess out of things, but I was too busy chomping down on these things to care at the time! The price was okay, although considering the portion size, I can&apos;t say it was a perfect price, but it&apos;s reasonable. The overall flavour was definitely a 10/10, not a single doubt about it, and my overall opinion about this product is that it was well presented, tasty, and addictive enough for me to want to track down more bags of this stuff. I hope that you enjoy these as much as I did, and I don&apos;t think there&apos;s much need for doubt on that. Enjoy! I was so excited to see these up for review as I absolutely love anything and all things caramel. 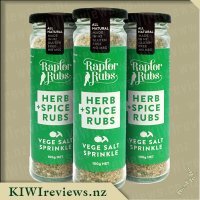 Although I love to bake, sometimes I just don&apos;t get around to it (and let&apos;s face it - it&apos;s not always cheap to bake anyway) so having these on hand sounded like a great plan! When I first opened the packet, I noticed these could actually pass as home made - right down to being cut in slightly uneven sizes... just as I would do! The real key would be the taste though - when I&apos;ve been served packaged slices, they usually have an artificial taste to them, and even taste a bit plastic. I was pleased to say that these did not taste artificial at all although when I tried to pass them off as home made to hubby, he didn&apos;t believe me as he reckoned the sugar tasted more crystallised than when I bake a similar slice (but probably only as he knew I&apos;d been given some review goodies). They were quite sweet, but I liked this about them. I thought they had a great amount of caramel and you could really taste it - it wasn&apos;t at all lost amongst the topping and the base. I loved the base, but you have to be a fan of coconut as it is definitely noticeable in the texture. And the topping was so smooth and think and chocolatey. If I was buying baked goods to serve up, I&apos;d bypass the horrible cheap ones that taste like plastic, and go straight for these - yum! I think this price is very comparable to a nice packet of biscuits so if you look at it like this, then it&apos;s definitely a great alternative option to pop in the supermarket trolley. Note there are only about 8 slices though (don&apos;t quote me on that exactly though - they didn&apos;t last long enough to count them properly! ), so keep that in mind if you are planning on serving lots of people. I do like the odd bit of caramel... it&apos;s the better option when it comes to fast-food sundaes if I am to be honest, because I&apos;m not a fan of pulped "berries" and the "chocolate" just tastes odd. But when it comes to eating it in a semi-solid format, it&apos;s a bit hit and miss for me. A lot depends on the mood I am in, and what I have on hand to drink. Caramel and beer is bad, caramel and coke is too sickly, caramel and a nice bourbon is quite acceptable, and caramel with Blue V is... interesting. After receiving these, I happened to stumble upon a couple of &apos;minis&apos; of Bourbon that I brought back from a recent visit to Aussy. So, I thought I would allocate myself a bag of these and give them a try... and glad I did actually. Despite not being my ideal caramel slice - still a little too sweet for my tastes - they were much better than I expected. The addition of the hard chocolate shell on top, believe it or not, stopped it being sickly sweet for me. While chocolate is sweet, it&apos;s not as sweet as caramel, and the nice thickness of the base also toned it down a nudge more, bringing it into the upper &apos;enjoyable&apos; limits of sweetness. I was glad, in this one case, that the bag only contained 6 bites. I was able to share a couple with a friend - who adored them, but she loves caramel in a way I can never match - and even share one with my youngest son, a quarter of a &apos;bite&apos; every hour or so. No surprises, he adored them too. Overall, while not the sort of treat I would consider having handy for myself, it is certainly one I would buy especially to offer visitors and guests, as I think it would impress almost any caramel lover. Caramel slice has always been a favourite in my family, with my Nana always baking it for me and my siblings every school holidays when we went for a visit. When I saw this available for review I was very keen to try it, having eaten a huge variety of caramel slices before I was interested to see how this version would compare. From looking at the packet it shows that the caramel slice has a thick layer of caramel filling in the middle and the back of the packaging also states that they consist of 46% filling. Upon opening up the packet I was pleased to find that this was pretty accurate. The bag contained 6 small squares of caramel slice in similar sizes, and much to my surprise and liking they were in fact almost half caramel (which is not often what you find when purchasing other store brought caramel slices). The rest of the slice was made up from the base which was a quite crumbly texture, that was thick and crunchy and about equivalent in size to the chocolate topping. The chocolate topping was more like a chocolate icing than a actual layer of real chocolate and was a good thickness. When I first bit into the caramel slice I found it to be not to sweet in taste, it was definitely a sweet slice however it wasn&apos;t sickly sweet like some caramel slices can be. It seemed to me to be quite gritty, as though the sugar crystals hadn&apos;t dissolved in the caramel during the cooking process, and it had a real home baking appeal to it rather than a store brought taste. I was a fan with the chocolate icing and the caramel filling and thought the 2 balanced the flavours out perfectly, you could still taste the chocolate icing without taking away the flavour of the caramel. However I have to be honest and say that the base was a bit of a let down for me, AI loved the addition of the oats and cereal which added a nice texture to it, however I was not a fan of the coconut in the base, I&apos;m not the biggest fan of coconut at the best of times and I&apos;ve not before had this in my caramel slice. All in all it was a lovely slice and my 3 year old absolutely loved it, the pieces are perfectly sized and great for little people and the taste is just like homemade. I would buy this again for caramel slice lovers but not for myself due to the coconut in the base, I can see a lot of people enjoying this however and look forward to sampling other flavours in the range myself. Caramel flavoured sweets are a perennial favourite. 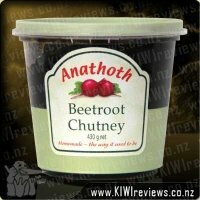 This variety offers a full flavour without the extreme richness of too much chocolate. The pieces were so nice that I ate two before offering the remaining four to my group of tasters so they could give me their opinion! They consist of a thick, slightly crunchy biscuity base topped with a good layer of caramel and with just enough chocolate to form an iced topping without taking over the flavour. Although they are quite filling, I consider them to be more of a lolly than a bar or slice. They remind me of the home made fudge my aunt used to make. A piece (or two) of her fudge was heaven after school on a cold winter&apos;s day. The unevenness of the sizes only adds to the impression that they are homemade. And these little sweets have the same quality as my aunt&apos;s fudge, being both tasty and satisfying. For me this was a true trip down memory lane. You would expect a product of this type to be very sweet. This is not the case, however; the sweetness is certainly there, but the cereal and coconut base complements this beautifully with no added sweetness. The chocolate icing is rich too, but it is thinner so that it does not take over the other layers. The middle layer is the most important part. It is real soft Russian fudge filling, consisting of sweetened condensed milk, butter and golden syrup. It melts in your mouth and challenges you to keep the whole packet for yourself. I have to say that I was tempted to eat it all, but I needed to get other people&apos;s opinions too so I restrained myself. With great difficulty, I might add! Of all the flavours that I have tried in the Loaf range, this one is definitely my favourite. Next time I buy it I will make sure that there is nobody else around to help me eat it! When I treat myself at the bakery it is often the caramel slice I buy. Although they look great I am usually let down as they are mainly flavourless base with very little caramel or chocolate. The picture on the packet of Loaf gooey caramel bites showed it was mainly the caramel filling. The list of ingredients states it is 46% filling. The bites were just as they appeared in the picture (it is not often I can say that). the only difference was mine had been out in the heat a little too long and although the fridge had helped to restore them to the original state I must remember to keep in a cool place. 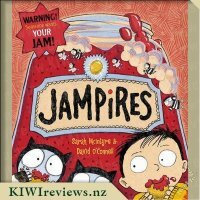 My family were keen to help me review the bites. We were not disappointed. The six bites were gone in record time. The base had a nice chocolate taste. The filling was perfect gooey caramel sweetness and the top solid chocolate. 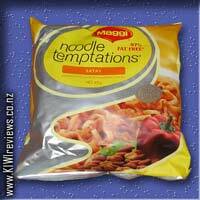 The next day while I was in the supermarket I bought another packet which proved to be just as popular. I&apos;m sure it won&apos;t be the last time I buy them. I would have bought another packet today but they didn&apos;t have any left. Now Miss 7.5 knows where they are in the supermarket I&apos;m sure she will remind me to get them although Miss 6 stated the gooey caramel were here favourite. Everyone else told me I should buy these again. 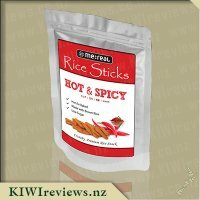 At $3.00 a packet they are an affordable snack. 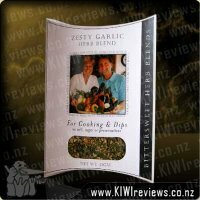 They are a good addition to a hamper or Santa stocking. I am sure my family, kids and adults would love to receive these. 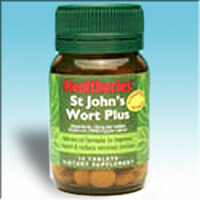 Healtheries St Johns Wort Plus is an advanced high potency formulation to help control mild anxiety, nervous tension and stress.